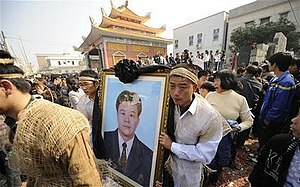 ^ "Wukan: a village living in fear following arrest of party chief". Retrieved 3 July 2016. ^ a b Reuters (3 July 2016). 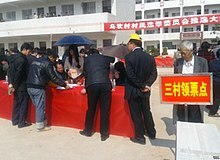 "Hopes for democracy crushed in the Chinese rebel village of Wukan". Hong Kong Free Press. Retrieved 4 July 2016. ^ Diplomat, Cal Wong, The. "Wukan Stirs Again". Retrieved 5 July 2016.